It's show #6 of our week long podcast blitz bringing you some of the biggest questions, challenges and obstacles that are coming out of our awesome RentalRookie Community. 2. Replacement cost? Or something like 80% replacement cost to lower premium? Or just enough to cover mortgage? 3. What companies have you found good rates with on multifamily units? 4. Is there a certain percentage of rental income that you should aim for your insurance premium to be? Or just different on every property? 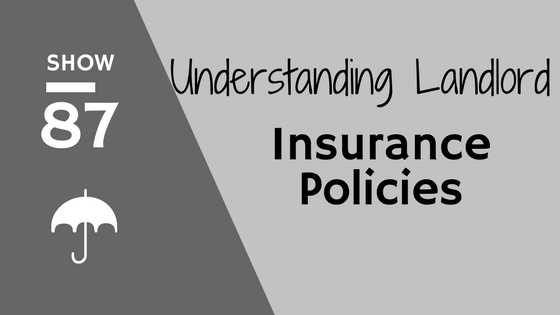 We know, insurance can be a tricky topic and one that we tend to maybe not master as much of the other info out there. But insurance is critical to have on your properties because when you need it, it can save the day. It just recently covered a $12,000+ water leak in one of our properties that would've killed our cash flow on that property for two years. So lots of ideas you won't want to miss are in this one.